Garage doors are designed to withstand wear and tear. As such, many homeowners may forget to incorporate garage door maintenance on their spring cleaning checklist. After being exposed to harsh winter weather, it’s important to see if any garage door repairs are necessary. Fixing minor problems now can save you repair costs in the future. 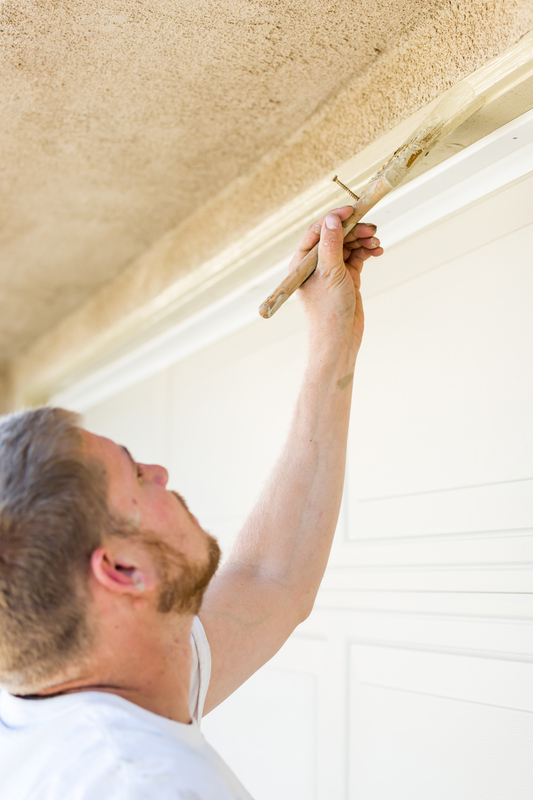 Here are a few tips for keeping your garage door functional and appealing. Inclement winter weather could have left a great deal of dirt and debris lodged inside your garage door tracks. Clear out any buildup that has formed using a wet cloth. This will make your door operate smoother and ensure there isn’t anything interfering with the safety sensors. Powerwashing your garage door will remove all the dirt and grime that has accumulated throughout the winter. Once it’s clean, apply a fresh coat of paint to the surface to rejuvenate its beauty. Washing and painting your garage door will not only improve its aesthetic appeal, but also protect it from the elements. When a garage door is off balance, it poses a danger and causes the opener to work harder than it should. You can test the balance by pulling the release handle on the automatic opener and manually lifting the door until it’s halfway open. It should stay in place on its own. If it doesn’t, it needs to be balanced or the springs should be replaced by a professional. It’s important to keep all the moving parts of your door properly lubricated. This will minimize the amount of stress that is placed on the rollers and door opener and extend their lifespan. However, it’s essential that the right amount of lubricant is used, so it might be best to consult your garage door repair service before you apply it. Winter can take a serious toll on garage doors, so now is the perfect time to inspect for any signs of damage. If you notice any rust, warping, or unusual sounds when it’s in operation, you may need to call for professional garage door repair. They will know how to safely and efficiently address the problem. If you need assistance checking garage door maintenance off your spring cleaning checklist, contact Automatic Door Company. For nearly 40 years, they have been providing residents throughout New Haven and Fairfield County, CT, with high-quality services and products. They offer same-day garage door repairs and are qualified to work on all makes and models of residential wood and steel insulated doors. Call (203) 795-3577 to request an estimate for garage door repairs or visit their website to browse their services. Other Announcements, Events and Deals from Automatic Door Company, Inc.
A. Automatic Door Company, Inc.